I trust all that celebrated the Christmas Holiday had a grand time. With all the entertaining that we do at the house, this particular holiday always allows us to be entertained elsewhere. One of my cousins always has this dinner at her home, and she always does a spectacular job with the dinner. There is always a spread of appetizers before hand, and most if not all are Armenian delicacies, that if one is not careful, there will be no room for dinner afterwards. I tried to control myself, but it is difficult. She is always trying something different for dinner and this year was not an exception. She had procured from her butcher two wonderful tenderloins, one was dry-aged and the other was fresh, and they were both prepared very similarly as an experiment, to see how the crowd reacted to the two different meats. Try as I might, going back and forth from one to the other, I could not detect that much difference, and neither could the other diners that evening. I attributed that to the fact that her butcher had supplied her with the best Prime cuts available, as they were both wonderful, and either one would have sufficed with no complaints for either meat. Not to mention that there were wonderful salads and side dishes for the dinner. I guess I am getting old, as I had barely room to enjoy one of the many desserts that came afterwards; and I was not alone as I noticed. I had brought a couple of wines for the evening, two different wines from the Monterey district of California, and both were Syrah varietals. I went with these two wines as I figured they would have a bit more spice, to compliment the spice of an Armenian Christmas. 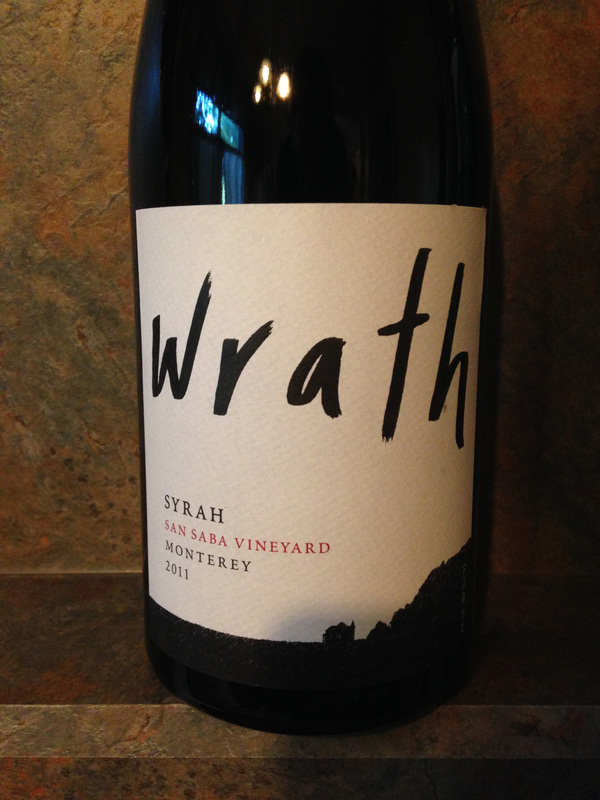 I wrote about both of these wines in prior articles, as I get them from my wine club “A Taste of Monterey.” The first wine was a Wrath San Saba Vineyard Syrah 2011 which was a bit more fruit forward, then I expected from this winery, but it paired well with dinner, but perhaps I did open this one a bit earlier, then I should have. I am sure that some additional cellaring time would have enhanced this wine. 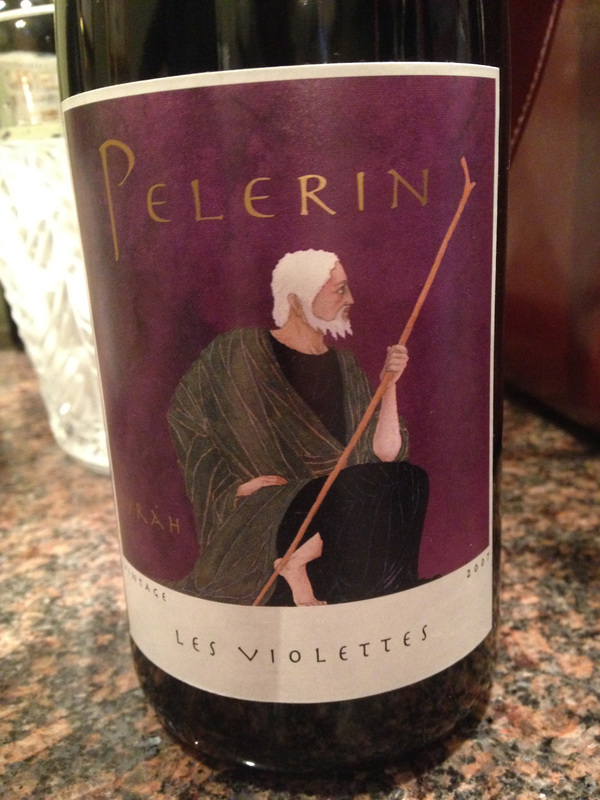 The other wine that I opened was a Pelerin Les Violettes Syrah 2007 and it was perfect. The cellar time was correct and it was just amazing, and shows you how nuanced this varietal can be, until the skillful hands of a fine winemaker; actually I have yet to experience a mediocre bottle of any wine from Pelerin. I may have been biased, but I thought that these two wines paired better with the filets cut from the tenderloin than the Cabernet Sauvignon that was also on the wine table. This entry was posted in Dining, Wine and tagged "A Taste of Monterey", California, Les Violettes, Monterrey, Pelerin Wines, San S, Syrah, Wrath Estate Winery. Bookmark the permalink.